The generosity of The Guinness family can be seen across the entire Dublin inner city area. The Iveagh trust is responsible for providing decent accommodation for the poorer members of the Dublin society, not just its employees. The families of the poor were large, uneducated and spent their lives on the street. centre, in an old building in Francis Street. The play centre was a huge success and it led to Lord Iveagh donating £38,000 to build the impressive building we now see today on Bull Alley. The building was opened in 1915 and it had 11 classrooms, three large halls and an outdoor playground. The Play Centre became popularly known as ‘the Bayno’ and was the centrepiece of the Guinness family Iveagh Trust renewal scheme that replaced the tenements between St. Patrick’s and Christchurch Cathedrals and was completed in 1913. The Trust created a unique urban landscape of park, Play Centre, apartments, hostel and swimming pool. local vocational school to cater for the educational needs of their children. schools. 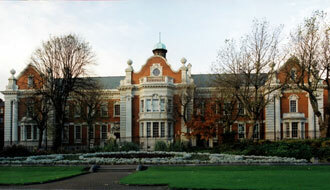 The school was purchased by the Department of Education in 1977 after vigorous rallying done by members of the Liberties. Liberties Vocational School in 1979. The college continues there to this day. Do kids from the Liberties have enough to do after school?